Charles D. Elms married Ruth Marie Houghton, daughter of Franklin James Houghton and Matilda Rottler, in Dec 18, 1925. Hanne-lore Wollenweber married Ray Brett Houghton, son of Charles Amos Houghton and Eula Mae Brett. Carmen V. (?) married Charles Lee Houghton, son of Francis Merton Houghton and Lula Eliza (?). Theresa Houghton married Ronald Paul Pitts. Ronald Paul Pitts married Theresa Houghton, daughter of Charles Lee Houghton and Carmen V. (?). Deborah Lee Houghton married Ronald Byrl Yount. Ronald Byrl Yount married Deborah Lee Houghton, daughter of Charles Lee Houghton and Carmen V. (?). Wilma Brown married William James Houghton, son of Hamor Josiah Houghton and Harriet E. Brown, in Feb 21, 1942 at Clay Center, KS, USA. William James Houghton Jr married Linda Valder. Phyllis Jean Houghton married (?) Burger. (?) Burger married Phyllis Jean Houghton, daughter of William James Houghton and Wilma Brown. Barbara Ann Houghton married David Fournier. David Fournier married Barbara Ann Houghton, daughter of William James Houghton and Wilma Brown. Lois A. Houghton married (?) McAveigh. (?) McAveigh married Lois A. Houghton, daughter of Hamor Josiah Houghton and Harriet E. Brown. 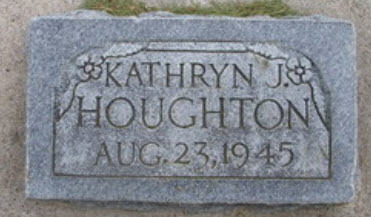 Martha A. Houghton married Louis R. Harvey in Jan 28, 1961. Louis R. Harvey married Martha A. Houghton, daughter of Hamor Josiah Houghton and Harriet E. Brown, in Jan 28, 1961. Ouida S. (?) married William Henry Houghton, son of Thomas Houghton Sr and Nellie (?). Mary Margaret Houghton married (?) Shuler. (?) Shuler married Mary Margaret Houghton, daughter of William Henry Houghton and Ouida S. (?). Jodie L. Houghton married Richard Lawrence Tibbetts.